The Savings and Loans program works to teach communities the importance of saving their funds, the proper use of loans and good management of money. 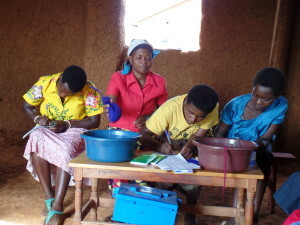 Each group is made up of community members who work together to sustain each other through their savings and loans. These groups promote peace building, unity and confidence by keeping resources within the community. There are currently Savings and Loans groups in both the Musanze District and the Bugesera District there are a total of 12 groups in these areas.